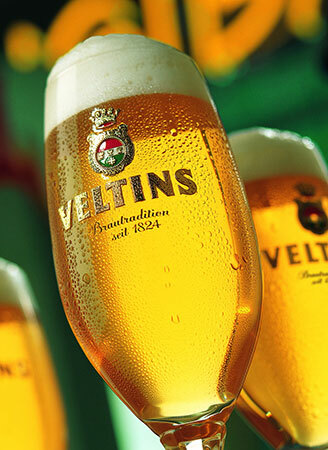 Veltins started as a small public-house brewery in Gravenstein, Germany in 1824, and it quickly won the respect of the typical local restaurants. 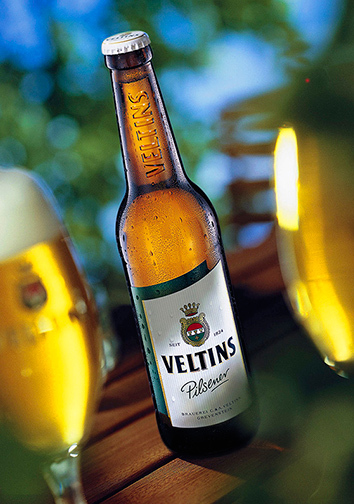 Today the Veltins’ family factory specializes in the production only of Pilsner, using the especially sweet water of the springs in the area, which is rich in carbon and mineral salts and ideal for the production of Pils beer. 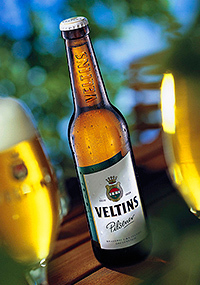 Veltins is considered to be the first German beer which used the term Pils. Veltins has a bright blond color and a slight bitterness, which creates a perfectly balanced taste, leaving a pleasant essence of hop at the end. 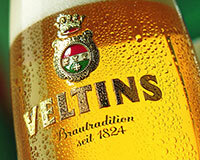 Find more information about Veltins.